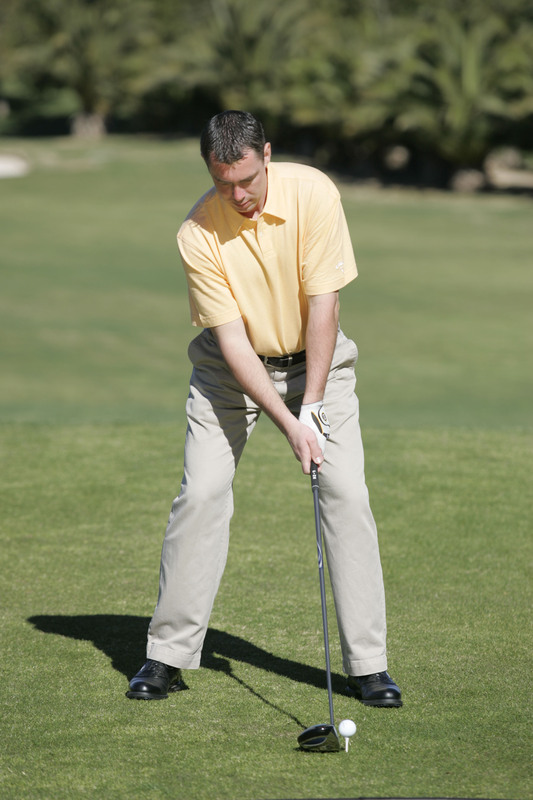 Hitting the ball longer and straighter is high on the list of every golfer and here I am going to give you some very simple things that you can do to help you achieve those extra yards. 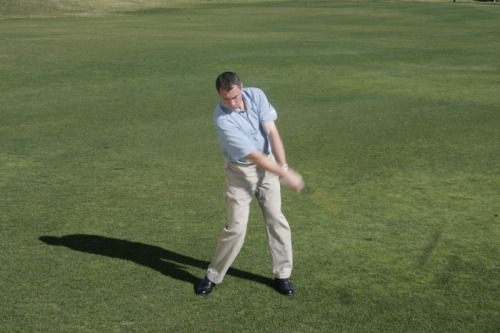 Firstly we need a nice solid base to swing from so I would like you to widen your stance just a little bit.You are going to do this by dropping right foot back another six inches away from the target. 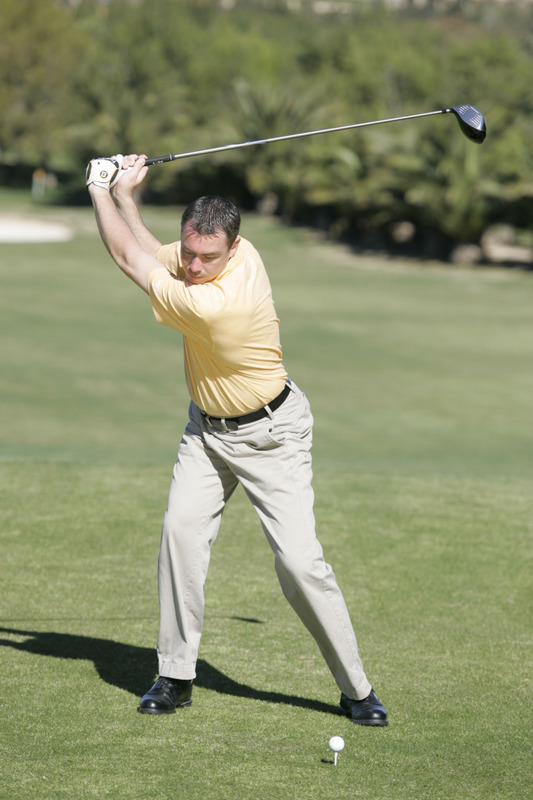 This will set you more behind the ball and promote an aggressive move into impact. Secondly I would like you to make a real nice deliberate backswing. Make that first six inches of the take away from the ball nice and smooth, this will ensure that you fully turn your shoulders in the backswing, a feeling of turning your left shoulder behind the ball is our main focus here. Lastly I would like you to have the feeling of swinging through the ball and not at the ball. Get to a full finish with tour weight finished nicely on your left side.